The Gladiator Stylish and Sporty 125 (SS in short) was a revamp for the earlier Gladiator model, which entered the 125 cc segment to cater the void left by the RX 100, 135 series when there wasn’t much aesthetic appeal needed for commuter bikes, and mileage was king. Sporty when the mood is right, calm and peaceful when you just want to commute, this bike was one of a kind in the 125 cc segment. It’s a shame this bike was discontinued due to perceptions that carried over with the YBX, which was considered a failure model. Despite many auto magazines giving thumbs up to this sporty 125 cc of a commuter and many satisfied owners including me, it failed to attract new buyers due to the arrival of Honda’s own 125 cc commuter, the CB Shine which became an instant success when launched. I bought this motorcycle back in January 2010, after much pondering. FZ? Unicorn? Pulsar? All those were very accomplished motorcycles with great track records, but also needed deeper pockets. I was looking for a good looking sporty motorcycle in my budget range for my daily commute to college and to hone my skills as a rider. The Gladiator just about seemed to check all those boxes after I rode one of my friends’ SS125, from college to back home, many times. So, after much convincing and pestering later, my dad bought me this shiny new Gladiator SS 125, which looked every bit stylish as a ramp-walk model! 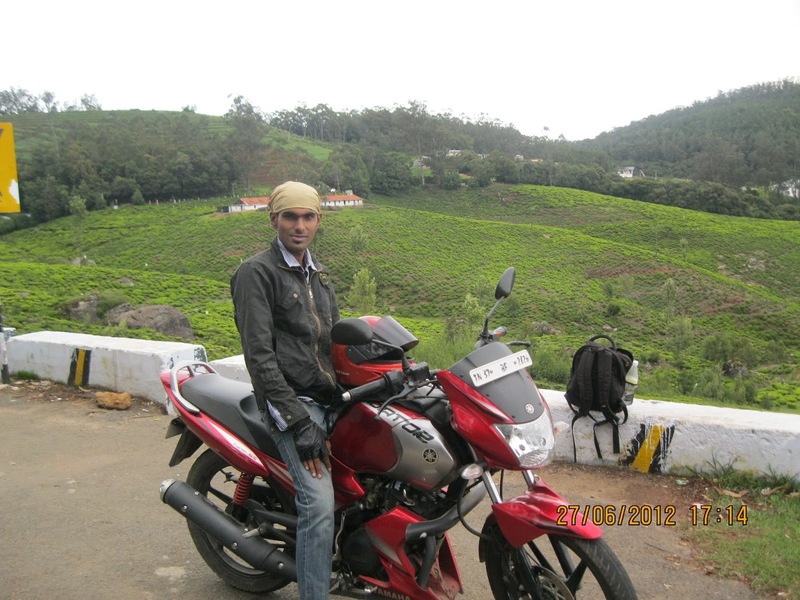 The joy of riding your shiny new bike to college , back home and to various other road trips was nothing short of exhilarating! The SS 125 is a visually pleasing motorcycle. The sculpted tank with extensions, the side cowls and the engine fairing cover with the impressive decals make it an attention grabber. The boomerang shaped tail lights with integrated clear lens indicators is a welcome change from the amber color indicators of the earlier version. The grab handles also blend well with the design. The instrument console has an analog speedo, tacho, fuel indicator and odometer. The all black windshield has an air vent; the number plate sits on top of headlamp on the windshield. Though many won’t appreciate the design, it doesn’t feel awkward. The flat handle bar position allows for a relaxed commuter and highway cruising. Some of the features were much ahead of its time and not available in any bikes in the 125 cc class like the engine kill switch, the all aluminum foot pegs, sporty brake pedal, 5 - spoke alloy wheels, black finish for engine, and toe only gear shift. The stylish exhaust with its machine gun inspired end piece looks simply beautiful. I personally like the rear three quarter view of the bike, which makes it look mean and smart. The controls are also placed in an easily accessible way, fit and finish of switchgear is top notch in this segment. Add to it the red and silver combination of colors, the sleek look of the bike with all the curves at right places, make it one of the smartest looking 125 cc motorcycle in its class and can put bigger 150 cc bikes to shame. The heart of the SS 125 is a 123.7cc 4 stroke single-cylinder air-cooled engine that produces peak power of 11 PS at 7500 rpm and 10.4 Nm max torque at 6500 rpm. This engine is coupled to a silky smooth five-speed manual gearbox and the power is transmitted to its rear wheel via chain drive. This gem of an engine is one of the most refined, vibe free in the segment. The engine loves to be revved and has a sporty top end grunt that makes people sit up and take notice. But due to its small capacity, it isn’t suited for aggressive riding. The short gear ratios make it feel like a performance motorcycle but it feels short footed when riding on highways as it makes your left toe to go up more often for that extra gear. The motorcycle can also be moved from the second gear if given the right amount of twist of the throttle, without any protest from the engine. The SS 125 is a nimble motorcycle and city riding is where it shines. The compact dimensions combined with light weight of 125 kgs and the short gearing make it a quick motorcycle to navigate tight spots with ease. The tall stance gives a better view of the way ahead even in traffic snarls. The handling improves vastly when riding on hills. Throw her a set of winding roads and the fun begins; tackling corners is done effortlessly. 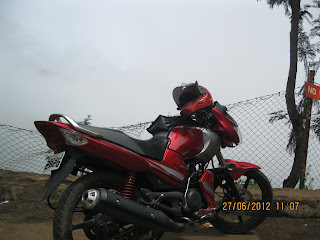 The seats are very comfy and make long distance riding fatigue free. The suspension setup is slightly stiff and aids in the dynamic characteristics well. Braking is taken care by a 240mm disc brake at the front and 130mm drum brakes at the rear with sufficient bite to bring it to a stop without any fuss. The skinny MRF Zappers take away the fun and handling is grossly affected at speeds more than 60 kmph. An alternative is to go for wider tyres with bigger buttons to get better grip and handling but fuel economy will take a hit. A gamble worth taking to exploit the bike’s full potential. The maintenance cost of the motorcycle is reasonable, except for some plastic parts which are absurdly expensive (the side parts, cowl, windshield assembly) to replace. Overall this is a very dependable motorcycle, oozing style, still looking fresh after 7 years (and counting) amongst newer competitions.